Every year Apple, Samsung and other mobile phone companies release their flagship mobile phones in the hope that their small changes are tempting enough for you to part with your hard earned money, but these phones aren’t cheap, at the time of writing, the Apple iphone 6s, with 16gb of storage cost £539.00 and the Plus model costing you £619.00. Samsung’s flagship with 32gb is a little more expensive and will cost you £569.00 with the Samung Edge costing £639.00, though come with expandable storage. 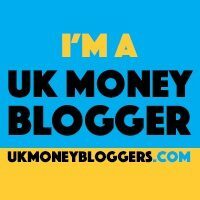 So if are one of those that have to have the latest mobile, here are my tips to get it that little bit cheaper. Wait – early adopters not only pay a higher price for new phones they are often the first to experience problems with the technology until the manufacture finds a fix. Buy it refurbished, important that you consider its grading here. A is the best, moving from B to C depending on its condition, also pay close attention to the warranty that is being offered with the phone in the event that it goes wrong.